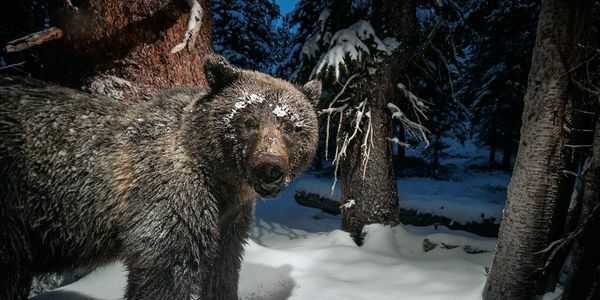 Greater Yellowstone grizzly bears still need federal protection. The fate of the Greater Yellowstone grizzly bear is uncertain, and we must act to protect them. The Yellowstone region's grizzly bear population hasn't grown since the early 2000s, fewer cubs are surviving to adulthood, bears have lost key foods due to climate change, and Yellowstone grizzly bears are completely isolated from other grizzly bears, which threatens their long-term survival. In Park County, Montana, we are seeing grizzly bears moving down to lower elevations as a result of changing food sources and this is leading to more and more human/bear conflicts, making bears incredibly vulnerable to human caused mortality. Despite all this, the U.S. Fish and Wildlife Service is preparing to remove Endangered Species Act protections ("delisting") for Yellowstone grizzlies and turn management over to the states, who want to immediately begin sport hunting of grizzly bears. Now is the time to provide scientific planning and adequate protections for the the future of Greater Yellowstone grizzlies. If the bear loses its protections under the Endangered Species Act, it could take decades to regain federal protections. Tell Secretary Zinke -- stop the delisting! Despite all this, the U.S. Fish and Wildlife Service is preparing to remove Endangered Species Act protections ("delisting") later this year and turn management over to the states, who want to immediately begin sport hunting of grizzly bears. Please Secretary Jewell -- stop the delisting! Thanks to the thousands of public comments received, the US Fish and Wildlife Service has delayed removing critical protections for the Yellowstone Grizzly Bear. But we aren't out of the woods yet. Officials are still planning to remove protections for bears this year. That's why we need your help to protect critical grizzly bear habitat from industrial gold mining. Add your name to tell the US Forest Service that Yellowstone is more valuable than gold! DEC 15, 2016 — Call the White House Day! The situation is more dire than ever, and the grizzles badly need your voice. Tell President Obama to continue protection of the Yellowstone grizzly under the Endangered Species Act. Please act now in support of these treasured animals. The grizzles are counting on you! Thank you for speaking up for America's Great Bear. Yellowstone's Grizzly Bears need your help again, now more than ever! We need to reach 100,000 signatures by the END OF THE DAY, in order to get a response from the president. Can you please help! ?